Great for a larger entry or foyer or larger master bedroom. Guests will definitely notice this one! This is the 3 light version of the previous NS113. Several of these Colonial originals (but in antique brass) were also purchased by Paramount Pictures for their feature film “The Curious Case of Benjamin Button” starring Brad Pitt. 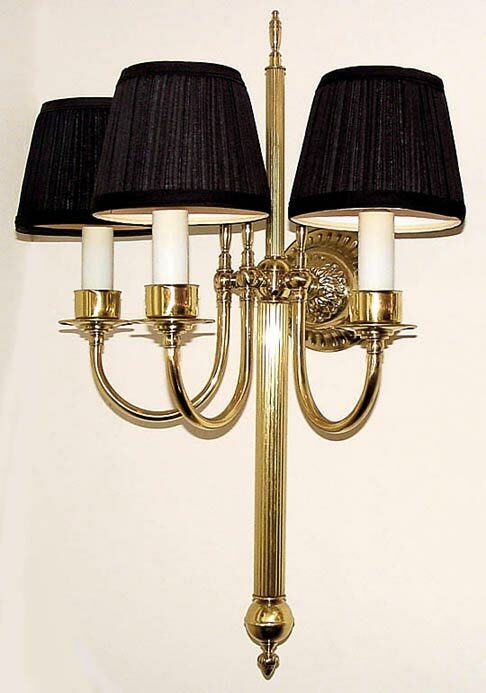 Shown in polished brass here, the lengths of the upper and lower stems are completely up to you. Width 18 In. / Projection 12 In. / Depth 20 In.